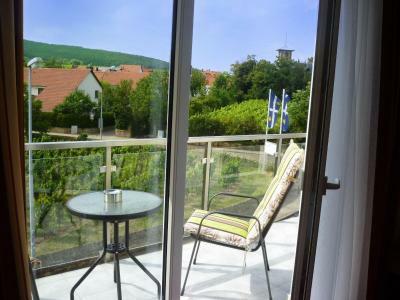 Lock in a great price for Gästehaus Deidesheim – rated 8.5 by recent guests! Easy entry during after hours with key machine at the door. 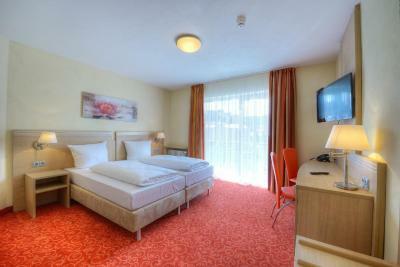 Clean, spacy and comfortable room with balkony and nice breakfast with enough fresh products. Good value for money. Nice and clean. Friendly staff. 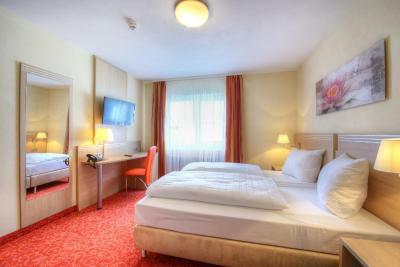 A friendly, convenient hotel within easy walking distance of the centre. Our room was immaculately clean and very spacious. - Cupboards with lots of hangers and shelves for our clothes. The bathroom was very modern, clean and spacious. 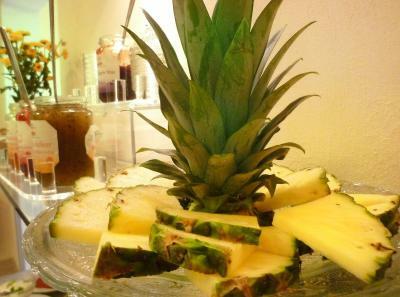 The staff were very friendly and helpful and spoke good English. 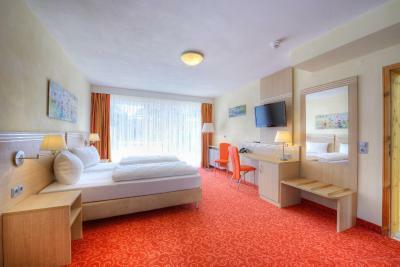 The rooms where clean and neat. Breakfast was very good. The lady at the front desk was very helpful with last minute modification to our reservation. 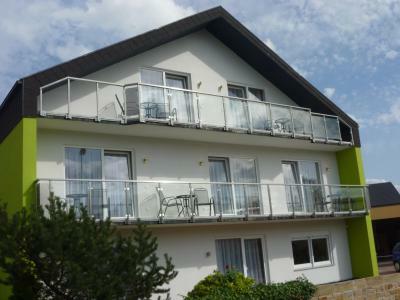 Great location near town and the train station. 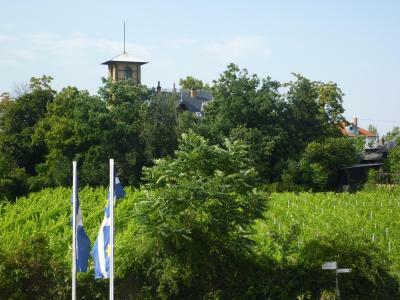 Staff were on the whole very friendly, and the room was large with a bath and balcony overlooking a small vineyard. Good value for money. Very nice hotel with extremely friendly staff. Great location to the train station and wineries. Es war wie immer alles so wie gebucht Gutes Preis Leistungsverhältnis ! 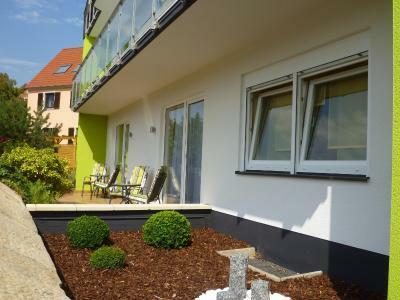 Located in the wine-growing region of Rhineland-Palatinate in the town of Deidesheim, this quietly located guest house has free Wi-Fi, free on-site parking and views of the surrounding countryside. 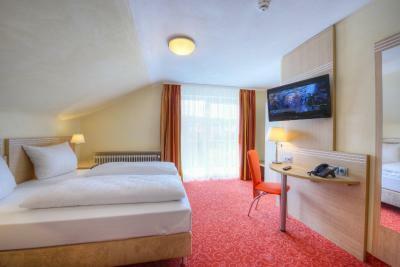 All carpeted rooms at Gästehaus Deidesheim are bright, neutrally decorated and offer a flat-screen TV, a desk and a telephone. 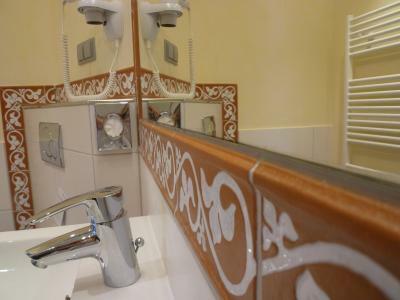 There is a hairdryer in the private bathroom and some rooms also have a balcony. 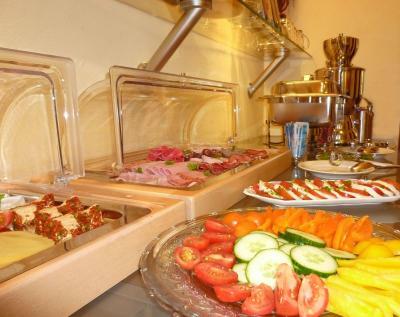 An optional breakfast buffet is offered at Gästehaus Deidesheim for an additional charge. 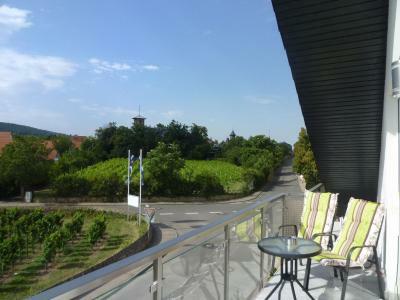 Deidesheim’s cafés and restaurants are a 5-minute walk from the guest house. Located a 10-minute walk from Gästehaus Deidesheim is the historic Old Town Hall. 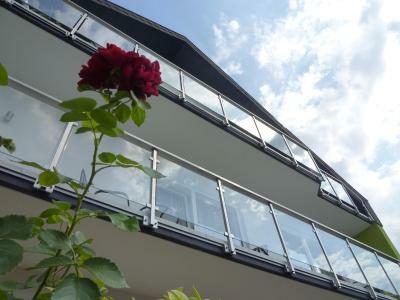 The guest house is an ideal base for exploring the surrounding area by bike or on foot. Gästehaus Deidesheim is 19 mi from Mannheim and 31 mi from Heidelberg. Deidesheim Train Station is 1,650 feet away. 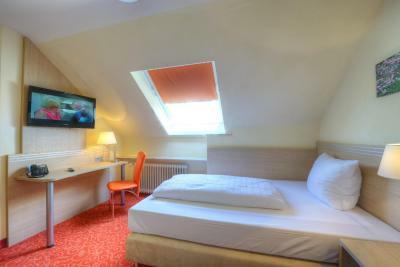 When would you like to stay at Gästehaus Deidesheim? Featuring carpeted floors, a flat-screen TV, a desk and telephone, this bright room is decorated in neutral colors. House Rules Gästehaus Deidesheim takes special requests – add in the next step! Gästehaus Deidesheim accepts these cards and reserves the right to temporarily hold an amount prior to arrival. If you will be arriving later than this, you must contact the property in advance to get the code for the check-in safe. A water boiler would have been a nice addition. The welcome should be warm and friendly. The potentially charming welcome staff must be able to show more empathy. Would be nice to have a city map available. The heating of the rooms was underdeveloped. It was cold tonight! Perfect rooms. All you need is there. Breakfast wasn’t great - cold only, and limited. Maybe Germanic humour, but to an Englishman it was borderline rude. Close to the street. So it was noisy until about 11:00 pm. Breakfast was really marginal. For the price of 140 euros I expected much more. It was very hot in the room because the Sun heated it up. We stayed there in july in a very warm period. But we missed aircondition. 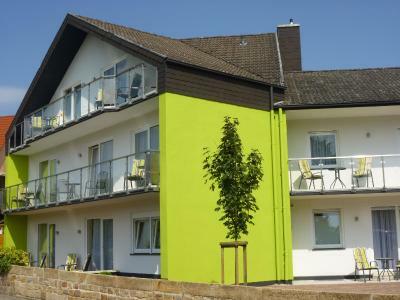 Probably aircondition is not common in Deidesheim hotels. We liked everything about it although the breakfast was not as great as other reviews led us to believe and was very expensive at 9.50 Euros!! One staff member on check-out wasn't all that friendly. A fridge would have been good in the room for storing the excellent wine we bought from the charming cellar doors in town. They contact me since I was late, came at 22:30, key card preparade and ready in key box with code :) great! But there was no parking places free at place, parked 200 m away.